Burgundy Oak became the 42nd overall and 1st in Canada to hold a Jack Daniel’s license. This line of products are made with authentic Jack Daniels’ barrels, and is is handcrafted in Calgary, Alberta. Also check out our full collection of barrel furniture and decor! 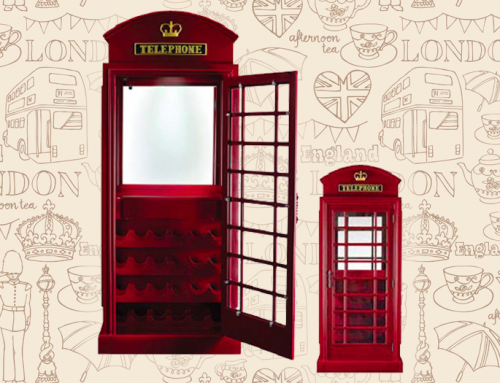 Featured on Cityline – Our Old English Telephone Bar Cabinet!